← What is the Correct Spelling of Bartunek? 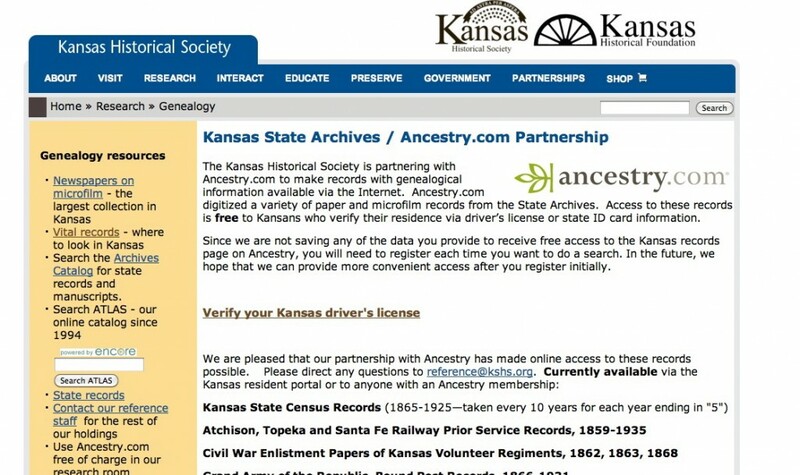 The Kansas State Archives has partnered with Ancestry.com to make genealogical records available to Kansas State residents for free! Go to the Kansas Historical Society/Ancestry.com Partnership page. It looks like this. 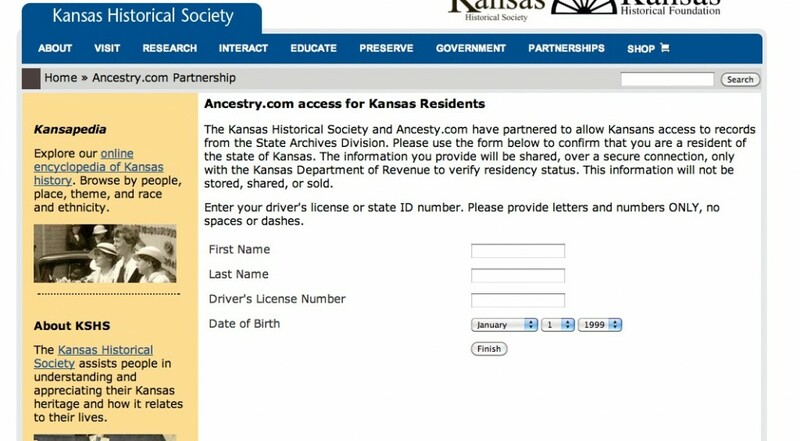 Click on the Verify your Kansas driver’s license link. This will take you to the following page. This brings you to the Kansas Historical Society page on Ancestry.com. From this page you can choose which document you want to search for. 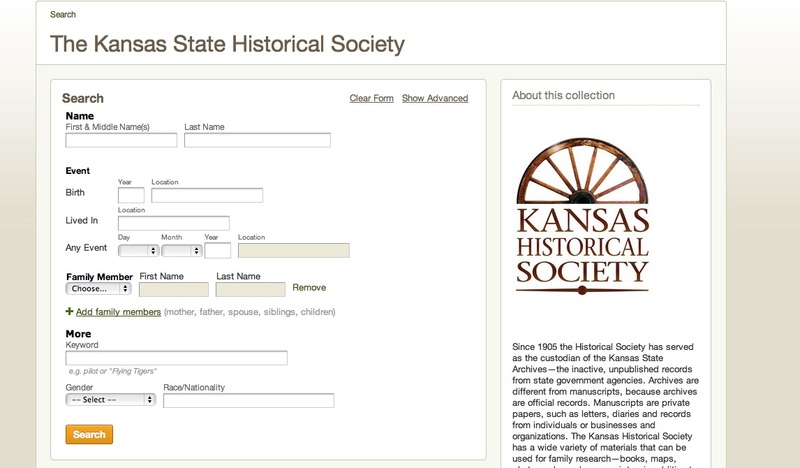 What Records Are on the Kansas Historical Society page of Ancestry? The federal census records are not available for free online through this site. If you want free access records other than those listed above, you will have to either pay the Ancestry membership or access the website at almost any library or on location at the Kansas Historical Society. This is a great service for Kansans who do genealogy, so take advantage of it. This entry was posted in Research, Resources and tagged free Ancestry.com, genealogy, Kansas Historical Society, Kansas State Archives. Bookmark the permalink.